A watch for Gentlemen. 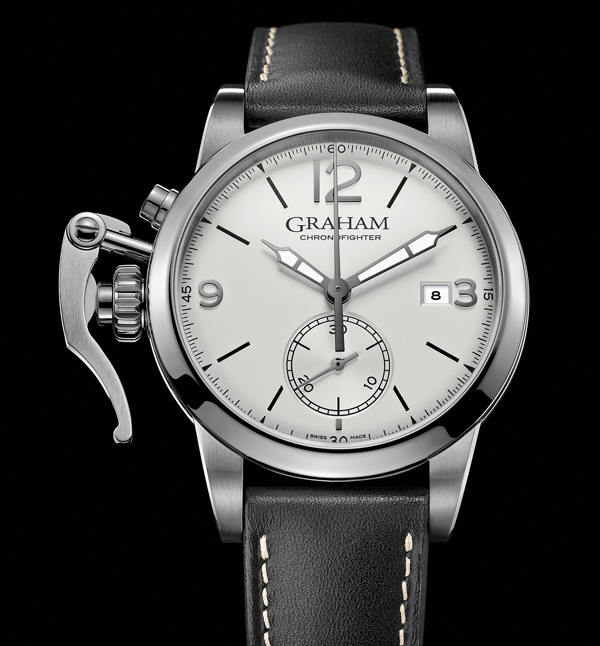 GRAHAM’s passion for refined details usually leads to admirable creations. But the genius of watch making science lies in its ability to create simple timepieces from the most complicated mechanism. 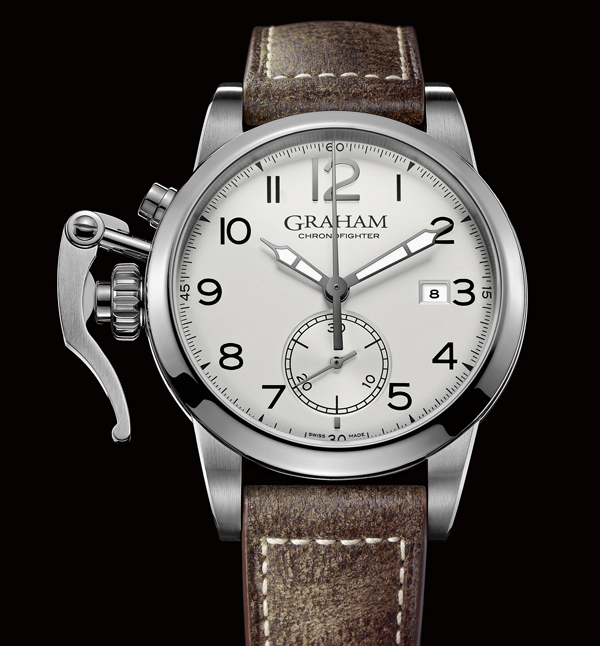 GRAHAM has developed a graceful unique chronograph which brings its fundamental watch making developments and British touch of style together. Knot your tie with a Windsor knot and let’s discover the craftsmanship of GRAHAM’s legacy. 1930s lifestyle. A turning point where things began to change for people. The BBC was created and the first TV broadcasts started. The use of media as entertainment became common. The Graf Zeppelin operated transatlantic passenger flights between Britain and North America. 1930s also saw the creation of the jet engine by the Englishman, Frank Whittle and tea bags! People definitely needed to have something which would help them to open up to this new world and fulfil their thirst for knowledge and beautiful machinery. 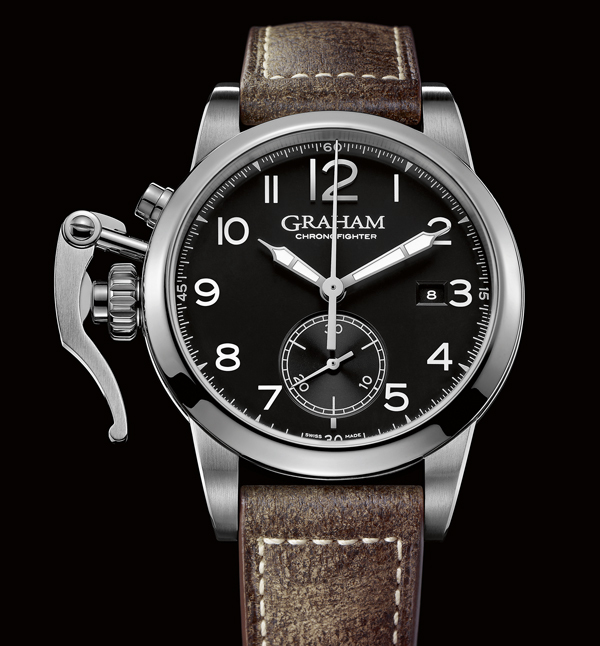 GRAHAM made its new Chronofighter 1695 a timeless watch making instrument. An automatic 42 mm chronograph powered by a sophisticated Swiss movement. 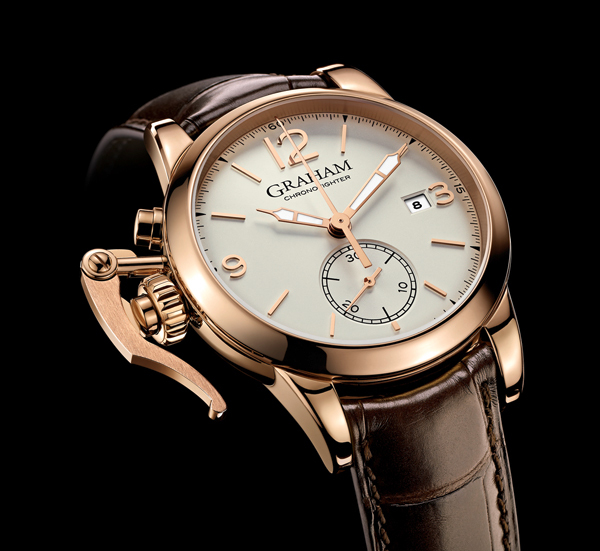 The minutes counter is placed at 6 o’clock and the date at 3 o’clock, a distinctive GRAHAM disposition. In keeping with Gentlemen’s taste for style, we have also chosen to crown the watch with a pink gold case (18K). The pink gold (18K) case back is elaborately hand-engraved with the Greenwich Royal Observatory as a tribute to the early life of George Graham, the official watchmaker of this important British Institution. 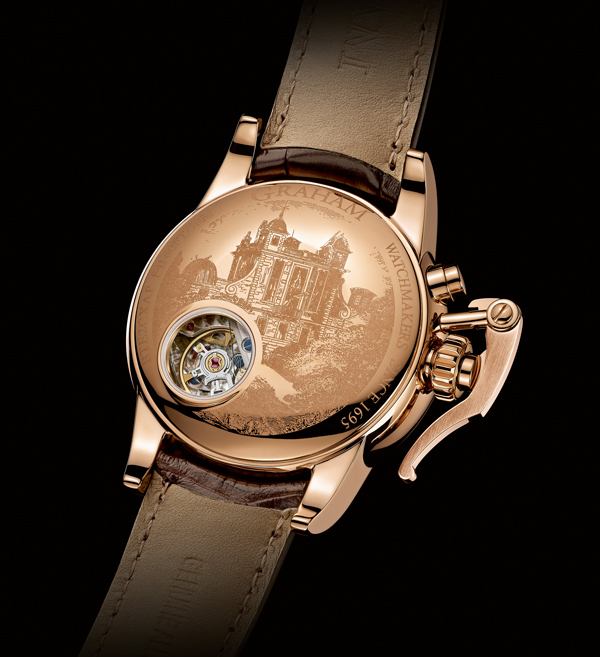 The case back also features a sapphire aperture on the balance wheel and the escapement. An homage to “Honest George”, the father of the chronograph and creator of simplified escapements which are the ancestor of the Swiss modern escapement. Elegant and distinctive. The thirties saw a proliferation of new technologies in all domains. But the most conclusive is certainly the lever which was originally used in aviation and early car racing. The renowned GRAHAM start and stop system is naturally present on the left side of the case to be activated by the thumb. The silver-white dial is finely-worked and is domed to recall the 30s style. Minimalistic and efficient. 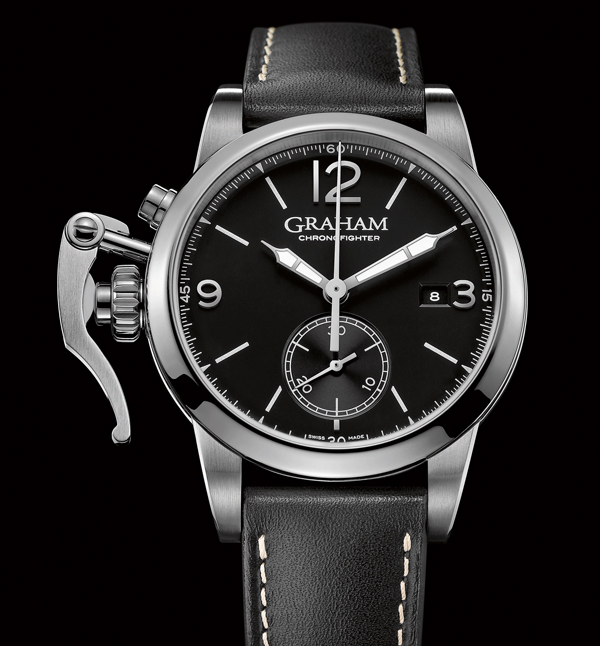 The Chronofighter 1695 has been made for all Gentlemen adventurers with pure GRAHAM DNA. 42 mm pink gold (18K) case, calibre G1745, automatic chronograph, 25 jewels, 28’800 A/h (4Hz), Incabloc shock absorber, 48 hours power reserve, domed sapphire crystal with antireflective coating on both faces, pink gold (18K) case back with Greenwich Observatory handengraved and sapphire aperture on the balance wheel, brown croco strap. Available in steel with chemical engraved case back and different dial versions.